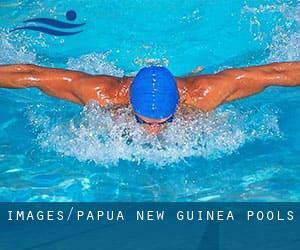 Most with the Papua New Guinea Pools supply both open lanes for independent swimming and also guided activities like water aerobics or Aquabike. Swimia.com has one of the most up-to-date database on the internet about almost any Papua New Guinea Swimming Pool. Classified by countries, regions and cities, it is straightforward to find the nearest pool at the places you visit. For Papua New Guinea, you'll be able to have a look at the pools we have gathered for you. Swimming is actually a sport for all ages. It assists young folks to tone their muscles and grow healthy and strong. For the elderly, there's no better technique to exercise than discovering a Papua New Guinea Swimming Pool to escape from every day routine. Are you on holiday and choose to keep fit and healthful? Swimia.com offers you the straightforward and quickest option to locate Aquagym in Papua New Guinea near your current location. Not all countries are the exact same, and swimming rules and regulations are changing from one country towards the other. So, if this can be your first time looking for Papua New Guinea Pools, be sure to call the premises just before you drop by. We probably do not know all the Pools in Papua New Guinea. Are you missing any? Contact us!. One in the advantages of outdoor swimming in Papua New Guinea is the possibility to sunbathe during the summer time season. Taking it with additional care, sunbathing is healthful considering that introduces Vitamin D into the body, so the most beneficial choice seems to be switching among indoor and outdoor pools depending on the season. It's difficult to visit Papua New Guinea without having dropping by Lae (with 76.255 residents). Currently Swimia is showing you all the Swimming Pool in Lae as well as the closest pools located in its vicinity. Let us tell you a secret to switch off while you will be in Port Moresby: just choose a Swimming Pool in Port Moresby and plunge into the water! There's no far more effective process. Swimming is a excellent idea to help keep your body active throughout your visit to Arawa (Papua New Guinea), or even if you are a local. Swimia helps you to locate your closest Swimming Pool in Arawa. Without a shadow of a doubt, swimming in Popondetta is the perfect way to unwind immediately after work. Take a couple of minutes to browse Swimia's catalog to find a Swimming Pool in Popondetta. Holding an estimated population of 33.623, Mount Hagen is one of the most important cities in Papua New Guinea. Check all the Swimming Pool in Mount Hagen and its surrounding area. Taurama Road , Port Moresby . Among all the activities offered by the centre, if you are interested in swimming you can enjoy Olympic size, Outdoors. If you'll want to contact this Pool, email address and phone number are both number.